Marriage was not an easy one for Joel and Nina. They were two different people from very different backgrounds. Nina’s parents divorced when she was a baby. It was middle school before she actually realized the importance of Jesus in her life. She grew up with longings for marriage and terrible fears about it as well. When Nina and Joel began dating she struggled with how much time and work it took to come to a place where they could consider marriage. “The Lord knew exactly what I needed in order to have the marriage I had hoped and prayed for,” shares Nina. Joel grew up in a Christian home where his parents never seemed to fight. He viewed marriage as something which should be effortless. He thought if you had to work through issues it meant you were incompatible. Joel held high expectations for a future spouse. As a young adult Joel entered a dating relationship that suddenly came to an end after four years. The devastating end to that relationship was magnified when he suddenly lost his dad to a heart attack soon after. When he met Nina after working a few years in Washington, D.C. he prayed God would help him trust again. “As I committed to be vulnerable and open with Nina, God was faithful to do a work in me that I couldn’t do myself,” shares Joel. They have been married for fourteen years. Vision Circle – Combine two unique visions for a new and combined purpose together. Early in their marriage, Joel and Nina share how they seemed to have repetitive and recycled conflict. They were trying to pursue their own personal goals. “We tended to focus on what each one of us was giving up instead of focusing on what we were forging together,” shares Joel. Through prayer God began to reveal some things. They began to identify core values and a unified vision began to become clearer. War Circle – Conflict is one of the most draining and feared parts of relationships – yet it is inevitable. It is not bad, but it needs to be healthy. Be your spouse’s safe place, make yourself approachable, listen without judging, criticizing, or problem solving. Romance Circle – Cultivate a connected and intimate relationship. Make date nights a priority, be a student of your spouse (learn how they hear and interpret and when they receive information best) and most importantly pray for your spouse. 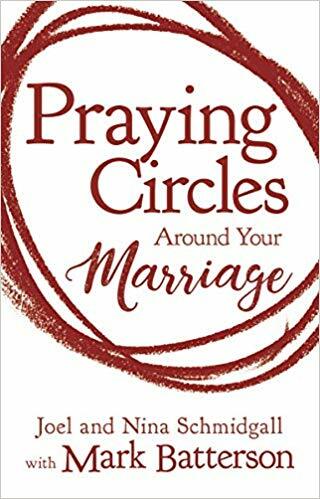 Dance Circle – Serve your spouse and position yourself to be used greatly. Counterbalance is critical within a marriage to help you both flow and glide through life together. As circumstances change in a marriage it requires a constant shifting to reestablish the balance. When Joel and Nina married, Nina was working for Congress. She loved the fast-paced work. After their first child was born Nina went back to work on the Hill. She was juggling the demands of leading a legislative team, doing their work in ministry, and supporting their home and family. Eventually, the pressure to juggle it all became too much. They prayed about what to do. Joel did not want Nina to feel pressure either way. Nina transitioned away from legislative work and gave her focus to their family and the church. She began working part-time leading the family ministry for NCC so she could be more present for their family. Years later, as their children started school Nina felt a little lost. “Deep inside I wondered if I had given up too much of myself,” shares Nina. She asked Joel if he would be willing to make sacrifices to pursue opportunities on her behalf as well. Joel expressed his sense of calling toward her purposes. The relief and encouragement were overwhelming. Just hearing his willingness to shift lifted a burden for Nina. “In marriage, the dance doesn’t always go as expected. It requires improvising and flexibility, and sometimes you just have to make the best of things. Shift your weight, lean into one another, and give your partner the support of counterbalance,” shares Joel. Support Circle – Surround your marriage with a healthy support community that offers encouragement, perspective, support and accountability. A supportive community becomes a prayer multiplier. “God did not create us to be completed by one another. 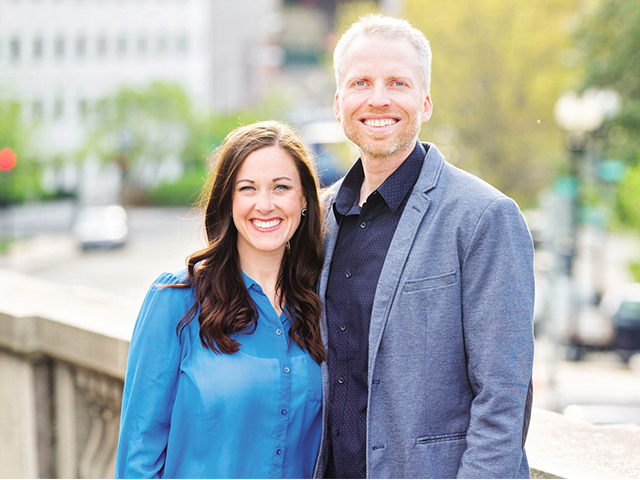 We are created for community, and God intends to use all of these truth-tellers, laugh givers, and generous encouragers to shape our marriage,” reveals Nina. Storm Circle – Build a solid foundation for your marriage that will help you weather the trails that will come. The scriptures give us promises we can cling to in the most vulnerable times. Legacy Circle – Leverage your marriage to have influence for generations. Your marriage will have a generational impact. “When Nina and I realized that marriage is bigger than us, it helped us understand that our relationship is less about our gratification and more about God’s glory. THEIR STORY Marriage was not an easy one for Joel and Nina. They were two different people from very different backgrounds. Dream big, pray hard, and think long--together. Marriage is your most sacred relationship on this earth, and prayer is the single most powerful way to transform it.